There are a variety of cosmetic plastic surgery and non-invasive injectable treatments that can be extremely effective for men who are looking to improve their appearance. Beverly Hills plastic surgeon Andrew Cohen, MD offers discreet care in a confidential setting that can help men rejuvenate the face, recontour the body, and treat conditions such as gynecomastia with natural-looking results. Although typically associated with women, surgical and non-surgical aesthetic enhancement procedures are becoming more and more popular among men. The fact is, we all have certain things we would like to change about our appearance, and new statistics show a growing trend reflecting a desire among males to address signs of age, excess fat, and other conditions that affect the skin, face, and body. 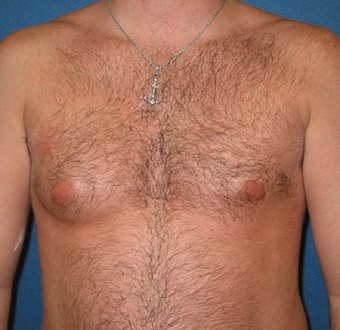 Many men suffer from gynecomastia, a condition which results in excess skin, fat, and sometimes even glandular tissue in the breasts, giving them an enlarged appearance. 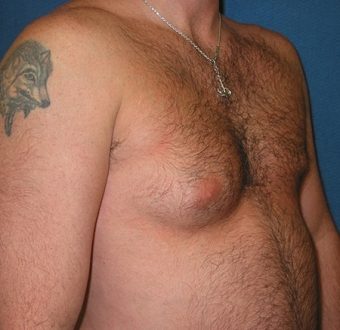 Gynecomastia typically begins in adolescence and can give men feelings of extreme self-consciousness. The condition can also lead to serious psychological problems like depression. Male breast reduction surgery from our cosmetic plastic surgeon can recontour the breast area by removing excess tissue and fat. 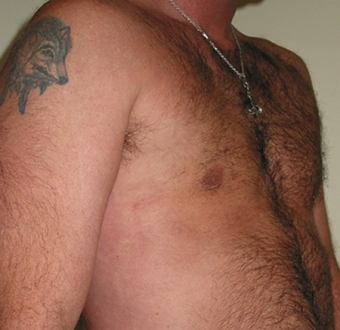 The procedure is designed to give men a tighter, more contoured chest. 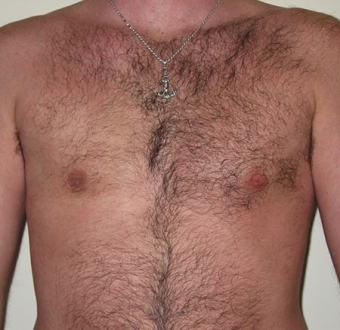 Liposuction may also be part of male breast reduction procedures in order to achieve optimal results. To schedule a confidential consultation for more details on male breast reduction for gynecomastia, please contact Dr. Andrew Cohen. Rhinoplasty (nose surgery) can address lifelong issues that you may have with the shape and size of the nose. A rhinoplasty can provide men with a recontoured nose that gives the entire face a more balanced appearance. The procedure can also help those affected by sinus problems and other nasal conditions. Liposuction is one of the most popular and effective surgical options to eliminate excess fat pockets. Sometimes, no matter how much you diet and exercise, areas of the body retain fat that won’t go away. Liposuction can remove excess fat in the arms, thighs, midsection, love handles, and many other body areas. A tummy tuck (abdominoplasty) is designed to tighten the abdominal muscles and give the stomach area a more taut, fit appearance. Dr. Andrew Cohen can give men a more athletic-looking stomach by removing excess skin folds and fat that has been unresponsive to traditional weight loss methods. For many men, exercise and diet alone are not enough to achieve the aesthetic appearance they desire, especially when a well-defined calf muscle and lower leg definition are concerned. At his Beverly Hills plastic surgery practice, Dr. Andrew T. Cohen can help his male patients that are unsatisfied with the overall balance of their lower body by performing calf implant surgery, which will help re-contour the leg and enhance the entire shape of the lower body to create the muscular, chiseled effect many men desire. Some of the most apparent signs of aging and exhaustion occur around the eyes. With eyelid surgery, medically referred to as blepharoplasty, men can have sagginess, puffiness, and “bags” significantly reduced to give the eyes a more youthful, refreshed appearance. For less invasive treatment to address signs of aging in the face, Dr. Andrew Cohen offers a variety of injectable options such as BOTOX® Cosmetic. These procedures address wrinkles and fine lines in the face, targeting specific areas and injecting them with a solution that smoothes out the skin for a more youthful aesthetic. The results from injectable cosmetic enhancement can last for months, and can be maintained with follow-up treatments. Plus, there is little to no recovery time with most injectable options, and the procedure can be completed over your lunch-hour. For more information on plastic surgery for men available at our practice serving the Beverly Hills and Santa Monica area, please contact Dr. Andrew Cohen today.